Polished chrome with croco insert. This item was an ideal gift for the golf outing participants! My order was delivered to me exactly as purchased with quick turnaround time. Everyone showed interest in my needs and was so friendly and easy to work with. Ink quality is good. Met my expectations. When it came I was suprised at how nice it was. Very professional! A nice promotional give-away. We were very impressed with the quality of the product. The service and product exceeded our expectations. The service is great and their products are the best! 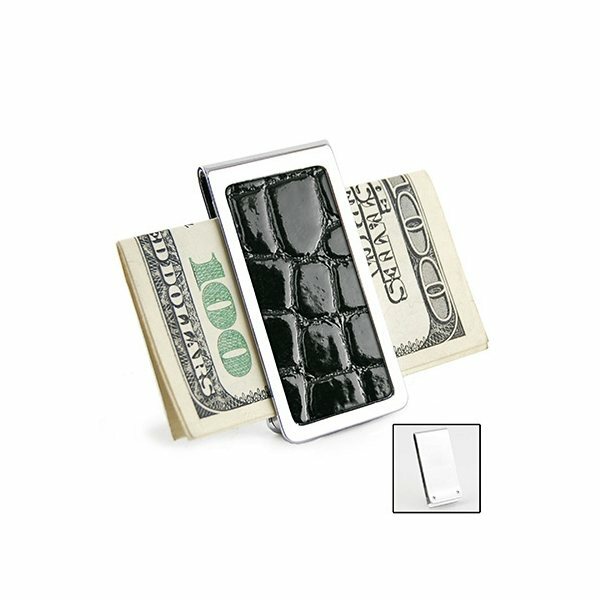 Our Logo design looks excellent on the croco money clip. I was mightily pleased with it and so was my customers. It's definitely money well spent.